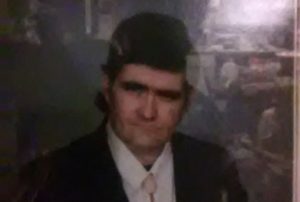 Kenly, NC: Mr. Timothy Dwayne Maynard, age 49, of Feed Mill Road died Wednesday, August 8, 2018 in Jacksonville, NC. Graveside Service will be held 11:00AM Saturday, August 11, 2018 at Lakeside Memorial Gardens, Angier, NC. Officiating will be Chaplain, Jeremy Maynard, his brother. Mr. Maynard was born November 21, 1968 in Wake County to Ernestine Barbour Maynard of Kenly, NC and the late Carlist Tilghman Maynard, Jr. He was also preceded in death by his brother, Larry Carlist Maynard. He was a tile mechanic in residential construction. Mr. Maynard was a member of Faith Bible Fellowship in Garner. Surviving, in addition to his mother, are brothers and sister-in-law, Stuart Andrew and Angela B. Maynard of Sanford and Jeremy E. Maynard of Kenly. Flowers are welcomed; however, memorials may be made to the family, 1951 Feed Mill Road, Kenly, NC 27542.